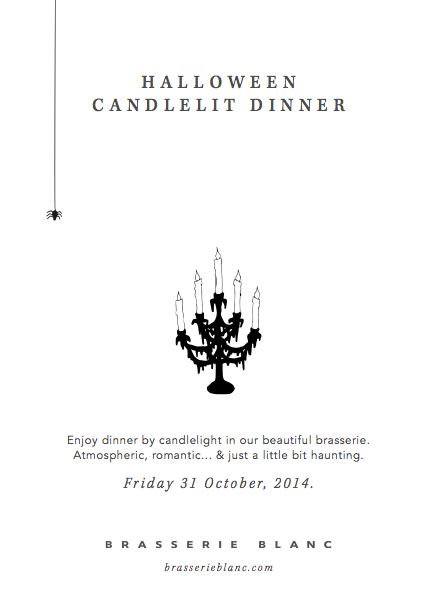 This Halloween we will be giving our brasserie guests a special treat as we transform our brasseries to offer dinner by candlelight. Relax in the gorgeous glow of flickering flames whilst you enjoy some of our deliciously warming autumn dishes from our à la carte menu or bewitching seasonal specials. Please check participating brasseries below, and contact them directly to book your table.